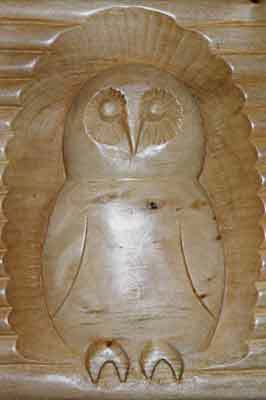 This is a simple relief carving designed for the novice woodcarver. 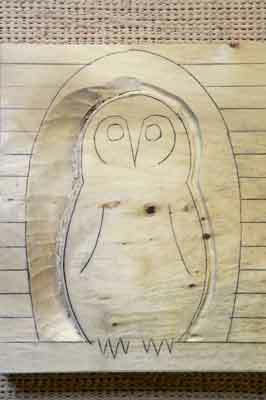 The idea is to introduce a carver to using a few basic gouges, thinking in three dimensions and holding the carving securely. 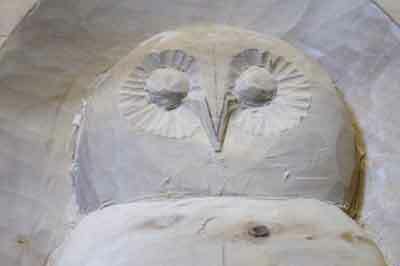 The project should take about two days to carve. The gouges referenced in the list above are those used but any suitable gouge could be used. 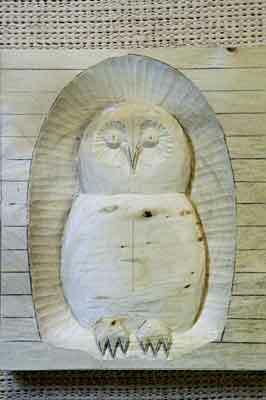 It is recommended to use as big a gouge as practical and to ensure it is sharp throughout the carving. Any hardwood could be used, in this example a stock piece of lime (Tilia vulgaris) measuring 143mm wide x 168mm high x 25mm deep was used with the grain running across. 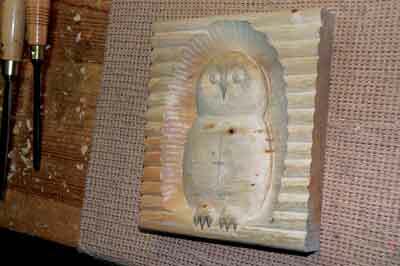 The actual size of the relief can vary to suit the wood available. Scale the design as required. 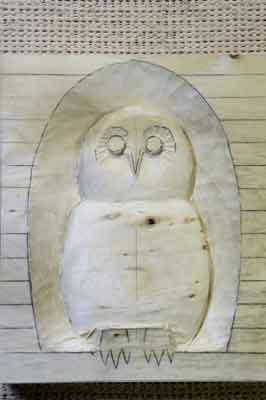 For the novice carver, it is suggested that the size should not be smaller as it would become more difficult to carve. 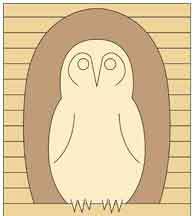 The owl is a 'generic' owl and similar to a barn owl. 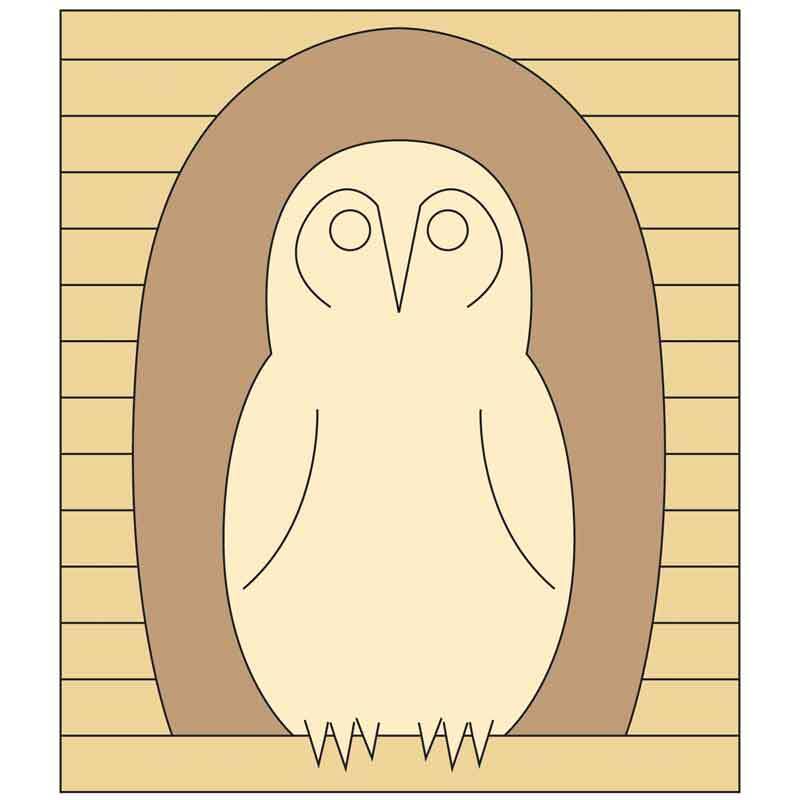 If preferred, you could add ears and make it a long- or short-eared owl. The horizontal lines are suggestions for a 'rustic look'. 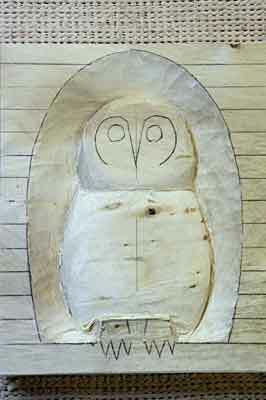 Note in all relief carvings that the objects tend to be flattened; the extent of flattening often depending on the wood thickness. 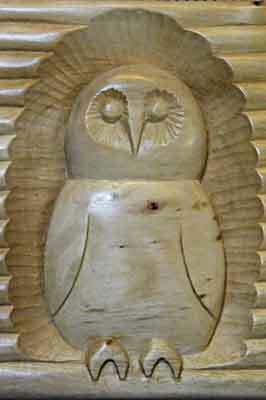 Stand back and take a look at the carving. Turning it upside down can be useful and sometimes shows areas that need further attention. 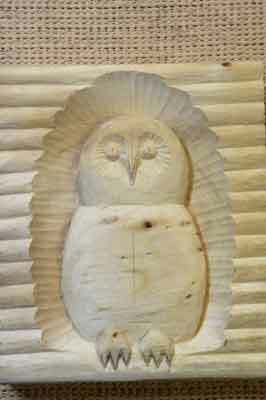 Also, looking at the carving in a mirror can help to show up problem areas. 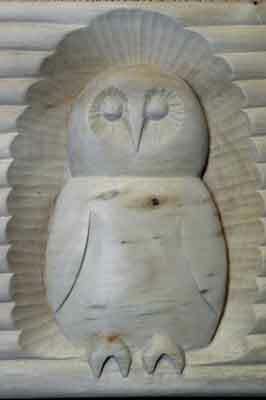 In this case, it was considered that the carving needed more curvature over its surface. 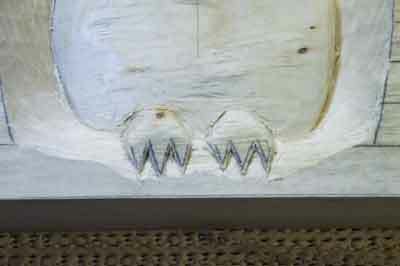 Although various undercutting has been done, it is possible to carve away a little, which demonstrates that undercutting must be left until the very end!